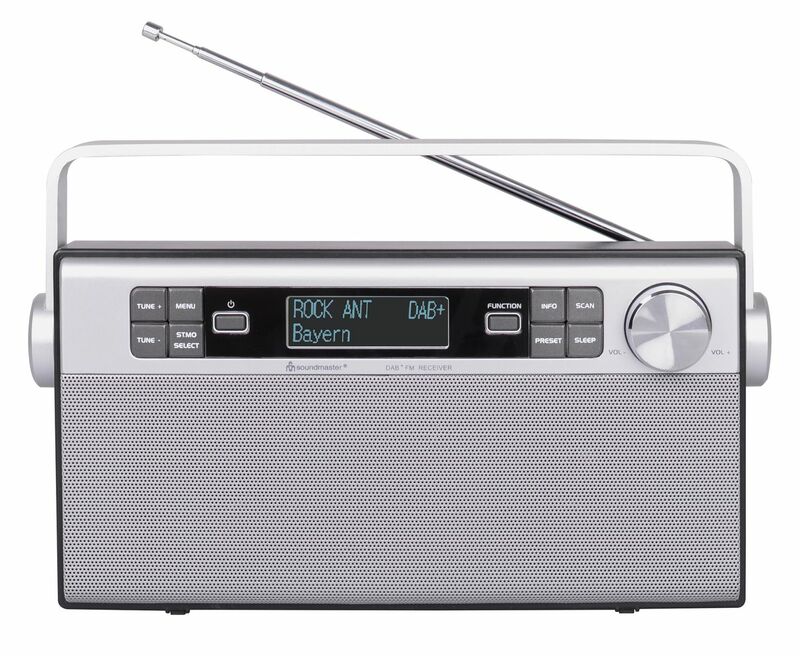 The Soundmaster DAB650SI boasts impressively simple elegance and a clearly structured user interface. In its center, you’ll find an easily readable dot matrix display that shows all important functions. The portable radio supports not only PLL FM, but also receives digital DAB+ radio. 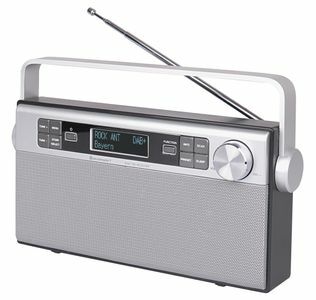 Ten DAB+ and ten FM stations can be saved in the Soundmaster’s station presets, making them available at the press of a button. A snooze function is also available. The maximum output is an impressive 2 x 20 watts PMPO and, thanks to the built-in lithium-ion battery, it can be used as a stationary device with AC power or on the go. The useful integrated AUX input allows for the connection of external sources.